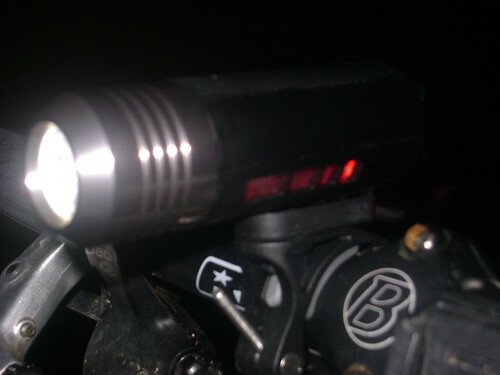 I have a Princeton Tec EOS Bike light that I use mounted on my helmet. 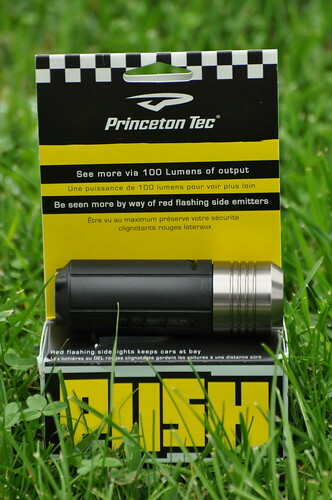 It’s a great light, and I’ve received excellent customer service from Princeton Tec. 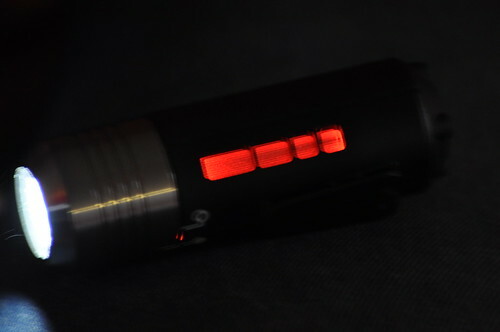 Whenever my handlebar mounted Viewpoint light finally bites the dust (which could be any day, since the rubber on/off button is currently held on by gaffer tape), I’ll definitely check out the Push. How does it compare to the PlanetBike Blaze (any of the wattages)? Sorry man, I wouldn’t know, I don’t have a Blaze on hand to compare it with. 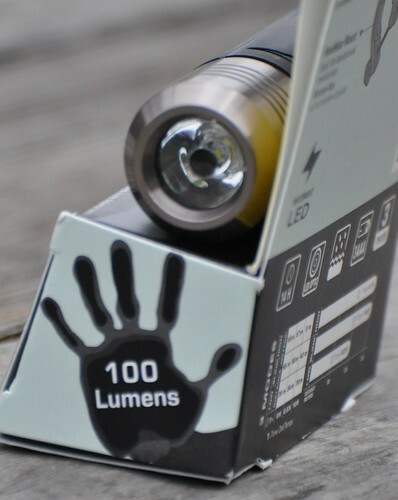 The Blaze 1W is rated at 70 lumens on high, and the 2W at 100 lumens on high…so the PUSH, on paper at least, pumps out more light. I’d sure like to compare them side-by-side, though. Dial Tone, Not it doesn’t. Not sure if they’ll offer a helmet mount, but that would be great idea! Just got this for my wife’s bike. 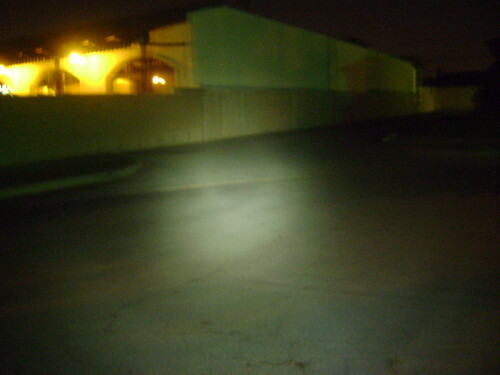 We haven’t had a chance to use it on the bike at night. When playing around with it in the dark, I can say: 1) the bright setting does a nice job of flooding with a more concentrated spot as in the picture above; 2) low setting doesn’t seem that useful, except to be seen; 3) flash mode is very obnoxiously fast with a bright pulse and could put someone into an epileptic seizure – seriously – we will not use it. I’m impressed with (1). I agree with Jack. I dropped mine on my commute this morning and the connection between the light and the battery case shattered. I had to fly blind on my commute. Not cool. Agree with previous comments – great (light) idea but poor execution – the metal bulb casing is too heavy for the plastic battery sleeve. I’ve been through 2 of these in a few months as the plastic casing fasteners eventually break after one too many road bumps (I don’t go off-road). They should have sacrificed a few grams for longevity.